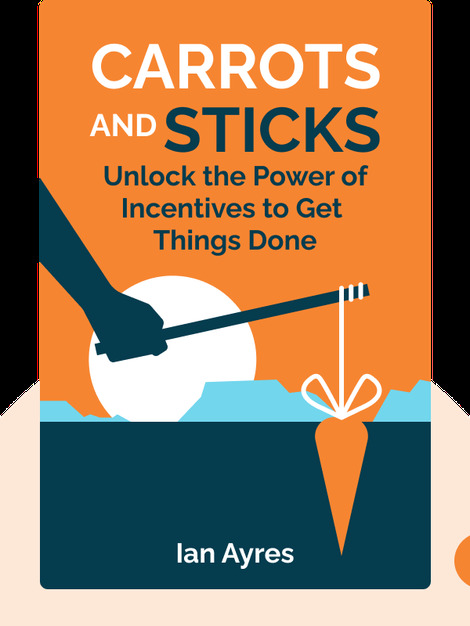 Carrots and Sticks (2010) is the bible of behavior, incentives and self-control. These blinks will explain how you can swap out bad habits with rewards, punishments and formal commitments to yourself. You’ll gain the skills necessary to tackle challenges such as losing weight, quitting smoking and saving for retirement. Ian Ayres is an American lawyer and economist who teaches at both Yale Law School and Yale School of Management. 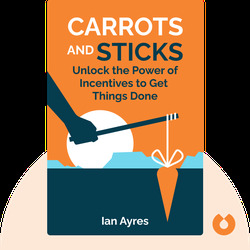 In addition to cofounding the commitment contract website StickK.com, he has authored several books including Super Crunchers: Why Thinking-by-Numbers Is The New Way to Be Smart.